The Festival opens on Thursday 3 May with the return of the award-nominated LEGEND IN THE MAKING NEWCOMERS’ COMPETITION at The Little Theatre, Hebden Bridge. Hosted by Heidi Bang Tidy, this event has become THE place to see some of the finest up-and-coming new performers on the Burlesque stage. The show also features a step down performance from winner of Legend in the Making 2018, Aurora Nova. Very special Guest Judge for the evening is MisSa Blue – recently voted Number 1 Burlesque Performer in Europe in the Burlesque Top 50! Friday evening kicks off at The Little Theatre with LAUGH YOUR KNICKERS OFF – a fabulous showcase of some of the finest and funniest acts from Burlesque and Cabaret. Hosted by the hilarious Titsalina Bumsquash with … Bunni Morretto (2nd runner Up Miss Burlesque UK 2018); Cece Sinclair and Jonathan Mayor (back by popular demand); His Royal Hairiness, Dave The Bear; comically camp drag artist, Dolly Trolley; wonderfully kitch cabaret queen, Ginger Tart; the ridiculous and risque, Lena Mae; and silly-faced seductress, Good Ness Gracious. A BRAND NEW SHOW FOR HBBF 2019, in the late-night Friday slot is CHERRY POP! A hand-picked cast of performers popping their HBBF Cherry – many of whom we actually can’t believe we haven’t had before now! Hosted by the multi award-winning Lilly Snatchdragon! Named Number 3 in the UK and Number 32 Worldwide in 21st Century Burlesque’s 2018 List, Lilly is a firm favourite with HBBF audiences and this year makes her HBBF hosting debut. 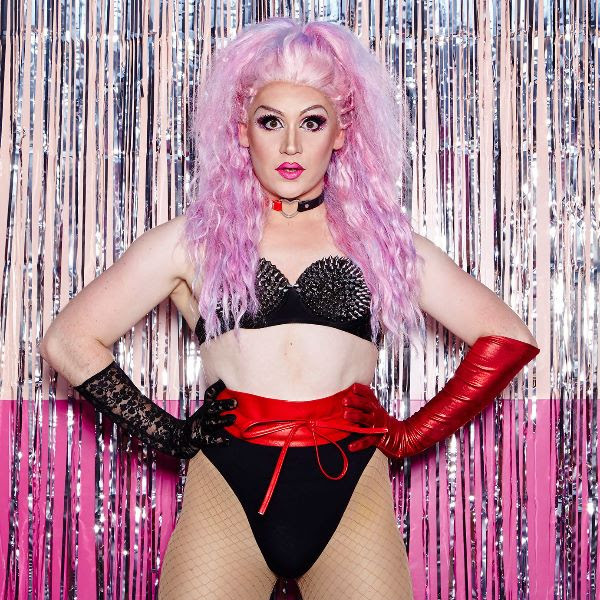 Also starring the Twerk-tastic, Bunni Morretto; Winner of Boyz Magazine 2019 cabaret award, and 1st Runner up in the World Alternative Crown 2018 at the World Burlesque Games, Eileen Bothways; proud trans Burlesque sensation, Jordan Jay; Cabaret’s Darkest Darling, Cortortionist, John Celestus; award-winning pole princess, aerialist and striptease showgirl, Kitty Velour; and ukulele-wielding, aria-belting duo Opera-lele. On Saturday, Mytholmroyd Community Centre will host THE BURLESQUE BAZAAR – a full day of shopping, workshops and happenings. The Bazaar is open 10am – 5pm this year and all our WORKSHOPS are in the same venue on Saturday, so you can make a day of it. The biggest show of the weekend is – THE SEVENTH ANNUAL HEBDEN BRIDGE BURLESQUE FESTIVAL GALA! Staged in the stunning Todmorden Hippodrome, the evening’s proceedings will be handled beautifully by multi-award winning cabaret artist and reigning Miss Burlesque UK, Amber Topaz! our VERY SPECIAL GUEST, direct from New York and performing exclusively at HBBF Syndi Deveraux. Sydni Deveraux is a two-time winner at Burlesque Hall of Fame in the Queen category in 2013 and 2017 respectively and has been on the Burlesque Top 50 worldwide list since 2011, with Number 10 being her spot in 2018. Don’t miss your chance to see one of the world’s finest Burlesque stars do their thing! Full-time idiot Jack Stark hasn’t written this show … A story about procrastination and panic. Frenzied, silly and silent comedy. Jack invites you all to connect with the reckless abandon and carefree attitude of childhood, in a very grown up way, while holding a mirror to the challenges we all face everyday. No red noses and big shoes here, this is clowning for the 21st century. This show, which is suitable for audiences aged 14 and over, marks the start of a new chapter of Jack’s performing, as he removes the make up and lets his own vulnerability as a human create all the laughter. Afterall, clowns are humans too. Drag Bingo with Dolly Trolley is the latest craze to sweep the nation and is reportedly more addictive than a fidget spinner and more outrageous than Piers Morgan’s reaction to a vegan sausage roll. Grab your dabbers for camp anthems, lip-sync battles, bum shake-offs, bog-roll brides, three-legged races, mystery spot prizes and performances from your hostess throughout. Number 30, lets get dirrrty. Did we mention this wasn’t regular bingo? The Festival closes on Sunday evening with LIVE AND STRIPPING! Back for a second year – a truly unique and utterly sensational evening of improvised Burlesque, featuring a cast of headliners performing with live jazz-rock band, Cabaret Against the Machine. With the phenomenally versatile Cece Sinclair at the helm, you are guaranteed a night like no other. This year’s cast includes: award-winning contemporary dancer and Legend in The Making 2018, Aurora Nova; “Cabaret Chameleon” and international burlesque star, Coco Deville; CoProducer of HBBF and tattoed temptress, Lady Wildflower – Voted Number 8 in the UK Top Ten and 67 in the Burlesque Top 100 in 2018; multi award-winning hooping sensation (and out of retirement for one night only) Shir Madness; and Burlesque Top 50 stalwart and winner of the Neo Burlesque Crown at Amsterdam Burlesque Festival, Tronicat La Miez. So…. there we have it! Hebden Bridge Burlesque Festival 2019 in full unadulterated colour! We hope you like what we have planned for you. 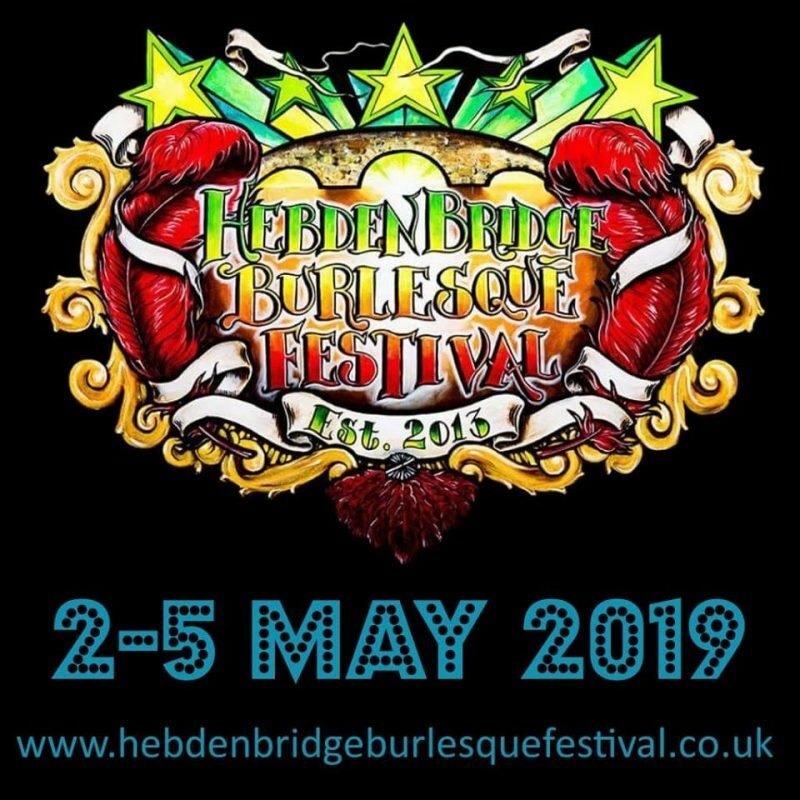 Get on the website at www.hebdenbridgeburlesquefestival.co.uk for more details of all our shows and performers, then get your tickets booked and workshops planned and look out for more announcements in the coming weeks. This entry was posted in All, FESTIVALS and tagged burlesque.